Just a little note on a Friday to say a HUGE THANK YOU to all our volunteers. What most of you don’t see is the vast amount of work done behind the scenes to keep the community centre running. The daily list of tasks include cleaning, locking/unlocking the centre for hirers, answering telephone messages/website enquiries, running the bar, administration, ordering/shopping, accounts etc etc. The list of jobs is endless and without volunteers giving us so much of their free time, we just wouldn’t be able to open. 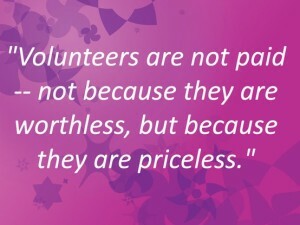 So to all our volunteers & committee members, we thank you and hope you know just how important you are!